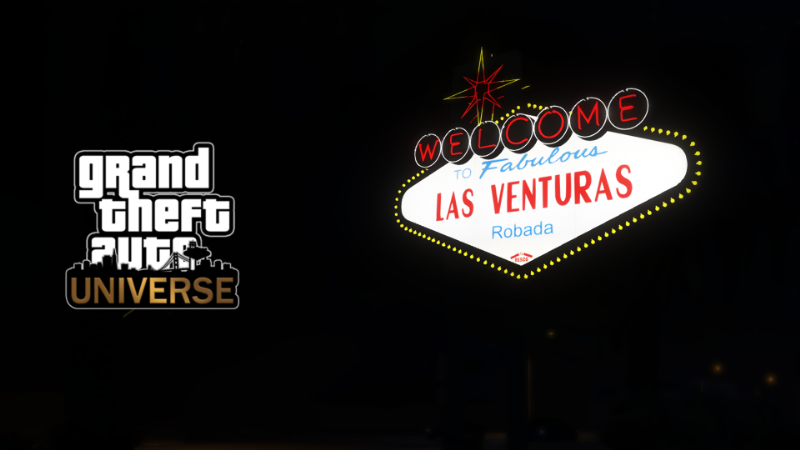 GTA: Universe is a Total Conversion mod for GTA V that creates new priorly known locations and also new locations. 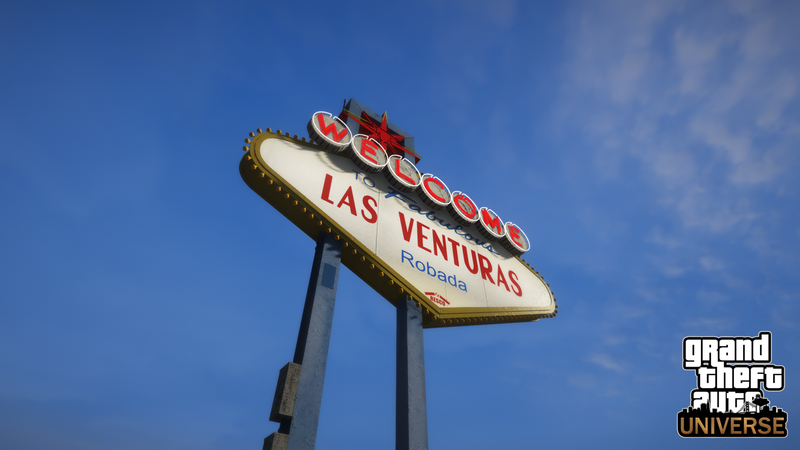 The focus is to create a new large open world playground for GTA V.
Currently our focus is to work on the city Las Venturas. The first release only contains a grass surface and the LV Sign. 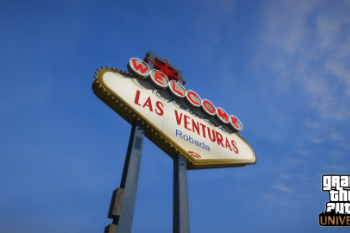 The purpose behind it is to show the GTA V Modding community of what we are capable of and for reaching more people who want to help us with our journey creating this modification. Though this is just the beginning and the map will be regulary updated with new models and features. Q: What about Take Two? A: Relating to their modding policy, its allowed making an from scratch made GTA V map mod, also thanks to our legal framework our work is safe from claims. Q: How long is the time period between new updates? A: It depends of course on various factors, tho we are aiming for 1-4 weeks. Q: How big will be the Map? A: There is no end, the map becomes bigger and bigger during time until of course something stops us. Q: Will there be an online client? A: No, but people are allowed to use this map on their dedicated servers if there is an GTA V multiplayer mod for it. Q: Any way to help or give you motivation? A: You can show this mod to your friends or to other peoples. Q: I have some more questions! Q: Will this be an Addon? 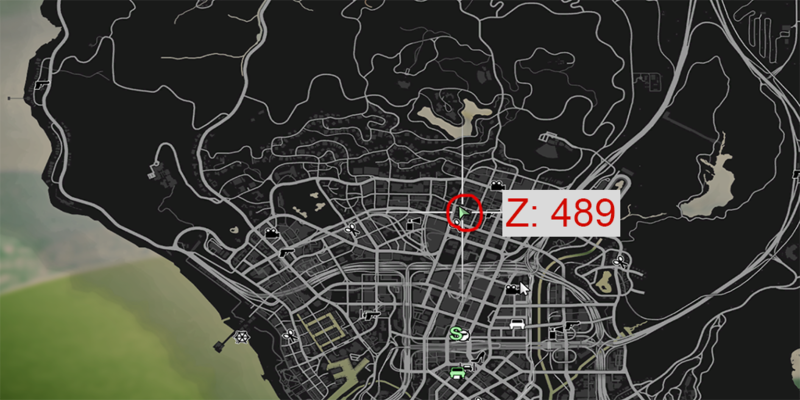 A: No, the GTA V Map is going to be removed when the map reaches a certain amount of scale. A: We will add LODs when they are needed. Q: Why is this map so high up? 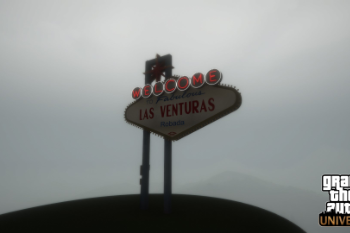 A: Las Venturas itself is pretty high above the water level and it allows us later making big mountain passes. Q: Are you continue the HD Universe? A: No, we are creating our own Universe that is based on the 3D Universe. That means all events, Companys, Buildings, Characters etc.. from the 3D universe also existed or still existing in our Universe, its like a remaster of the 3D Universe. 2. 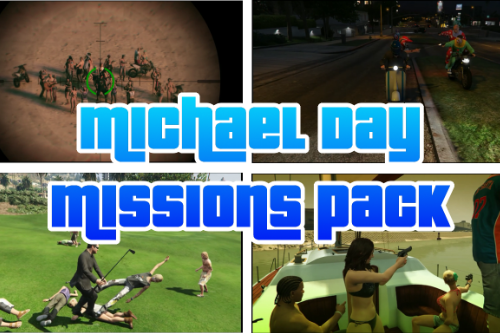 Import universe file to your dlcpacks folder under (\Grand Theft Auto V\update\x64\dlcpacks\). @FinnMcMissile Replaying missions will cause that cutscenes will play in a empty scene and you will fall everytime of the map. Its something we still have to find a solution for but I am sure we can disable it somehow. GTA V Los Santos also will not be there, everything from the original map is gonna be removed and replaced with our Universe. This is completely seperate from the HD Universe. What do you mean with Liberty City wont be made? 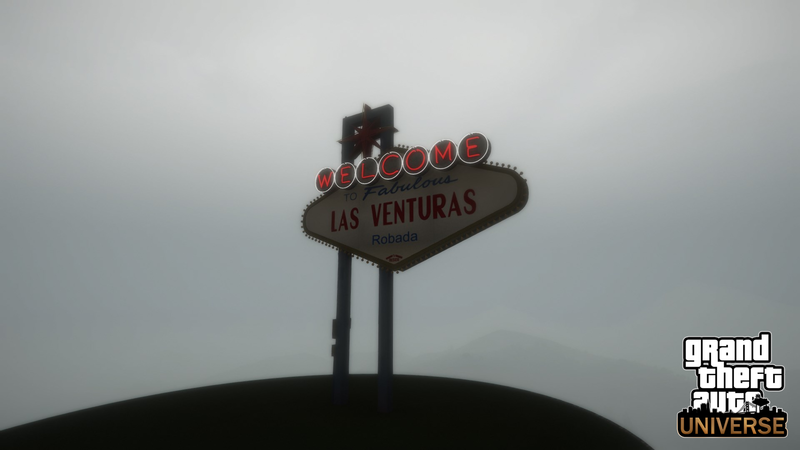 We are currently focussing on Las Venturas and we will go to other cities when we get to it. 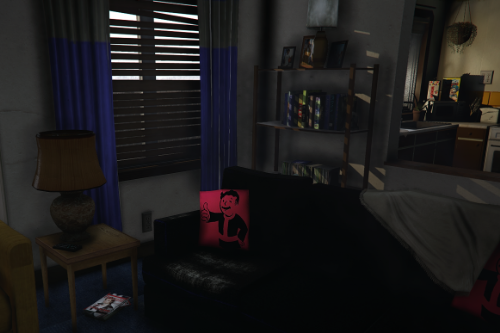 And yeah I saw that, but if Los Santos is removed... will it be still there in your new universe? Like, you just create a new LS instead? Because in one of your comments above I read that you're bringing cities from 3D universe, or something, so that's why I'm asking... Since LC is in HD universe. @FinnMcMissile ye, some mods definitly will not work but its a matter of time that people probaly are also going to do mods for this total conversion . The V LS wont exist in our universe and ye its a continuation of the 3D Universe, just completely remastered. You will see buildings from GTA: SA in LV like four dragon casino or things like the sobell railyards and you will see how much it changed during time. Our Mod takes place 2020 btw. but it will get mentioned in the environment. So its our own universe with some plots from the 3D Universe. You will see during the progress how it works. And LC also exists in the 3D Universe? How many people have you got working on this? And thank you guys for all the good rating so far on only that Sign! We are excited to release another update this week! Will there be NPCs and AI cars driving around after LV is finished? @a935member We will work on the AI as soon as there is enough road on the map, so this will happen way before LV is being finished. @dgsvapid We announce every update that is coming soon on our Discord Server. @dgsvapid Which troubles? I am glad you asked. 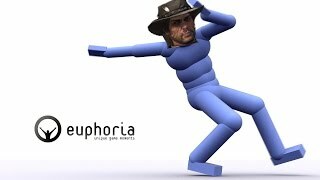 @zzcool We are sure we can do this mod and I guess we are already at that point where we can say we know we can do it. We are maybe a small team but very experienced and we never had the thought of giving up or had any complications we couldnt cross. That was already discussed so many times and it was choosed before we even started with LV. I want to give a detailed explaination so you exactly know why this choice was made. So, the GTA V map is supposed to be an island, changing this fact is very hard and very time consuming. Every City we make should be connected via Interstate or Traintracks so you can cross the map via every vehicle. Making every state a different Island is just weird and it decreases the use of vehicles or trains drastically and this is not the future we want for this mod. We want to make our own Universe based on the 3D Universe which means you will see buildings, vehicles, companys etc.. from the 3D Universe. We want to create a completely new map but also a map that gives you kinda the nostalgia vibe if you played the older GTAs. 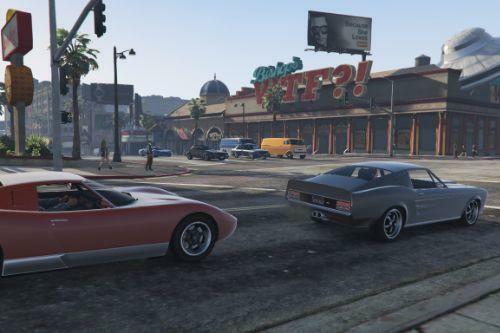 And we want to revisit some places like the four dragon casino, sobell train yard and more places from GTA: SA and imagine it in our quality and how this places have changed during the time since our Mod is playing in the year of 2020. Also we having our own standards. 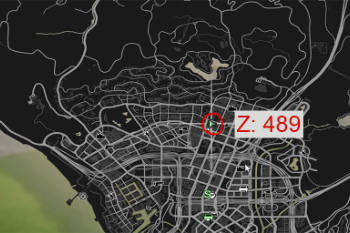 For example GTA V uses 512x512 textures mostly for the environment. We want to keep up with todays standard with using 2k Textures which is currently being used by most new games. Also more polygons on our models is being used which makes everything more detailed and more realistic then in GTA V. We want to think long term and we dont want that the map quality gets outdated very quickly which is why we made this choice also. You should fix the description, related to theIr, not "there"
Good luck sir, i hope this project don't die.